What’s hotter than stiletto heels? 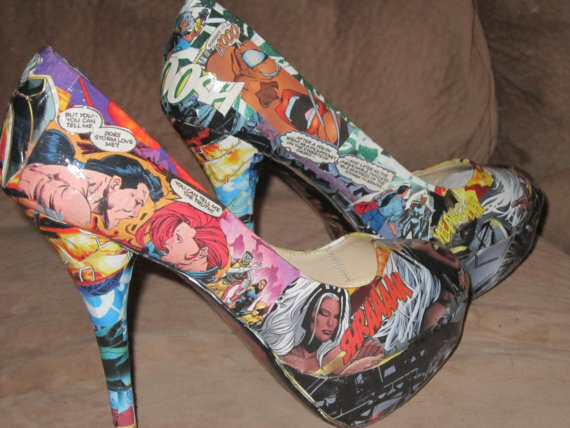 Comic book stiletto heels. 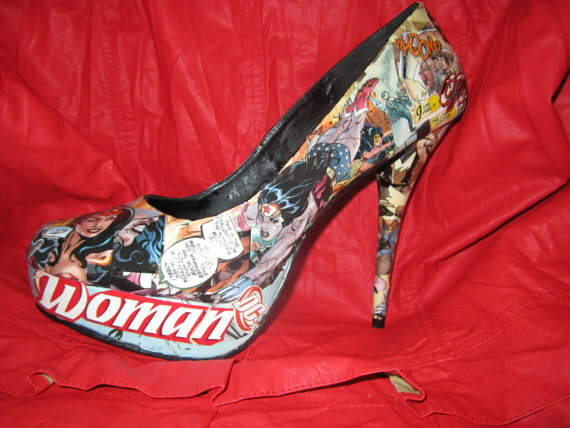 A company called Hell on Heels makes quite a series that can be purchased from their site. 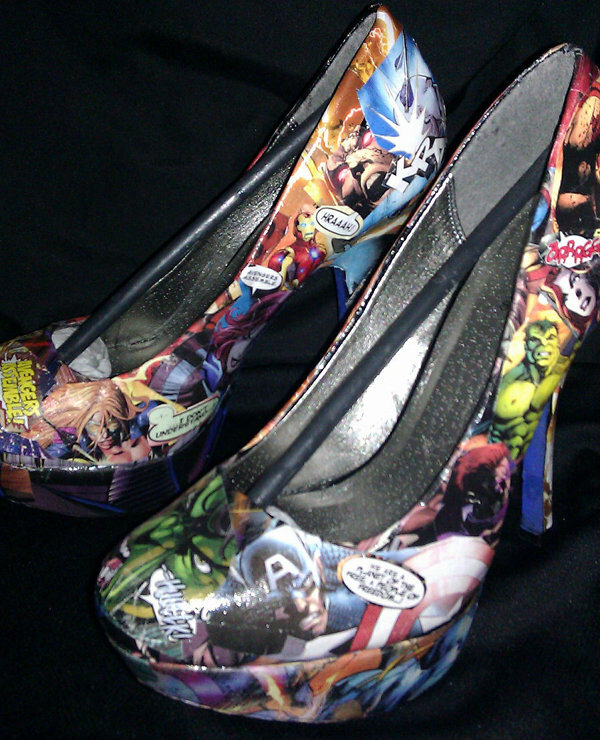 Among the styles available are X-men, Spiderman, Transformers and even The Avengers. 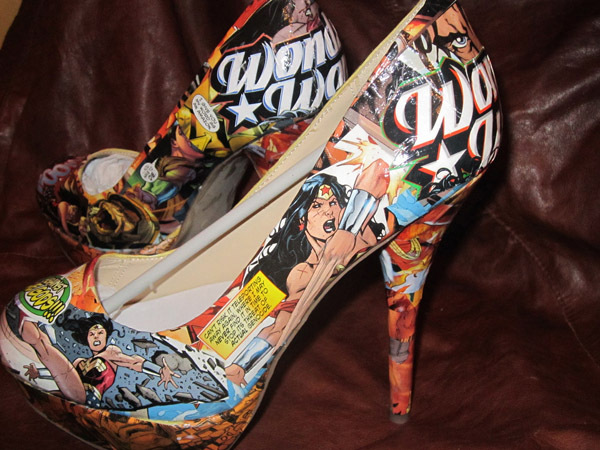 I like the way they describe their own heels: “FIERCENESS.” Yeah. 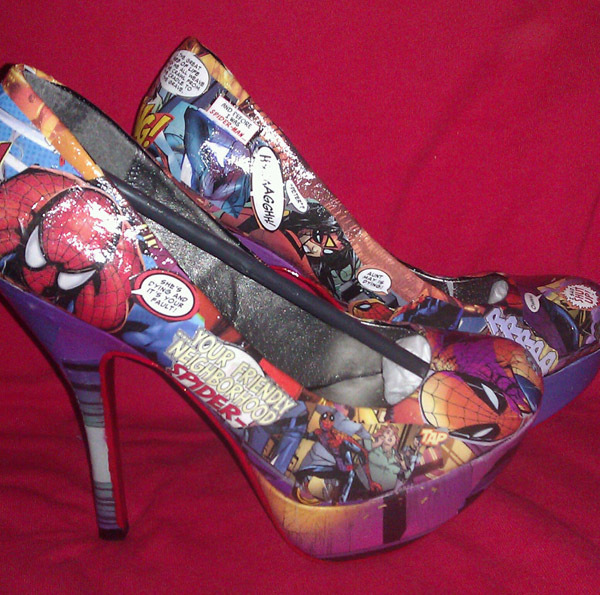 Want some comic book themed heels packed with FIERCENESS?! Well look no further.